What Is An Industrial-Scale Ethernet, And When Is It Needed? It sounds like a simple question, right? We all have Ethernets in our homes and businesses, so it would be natural to assume that industrial-scale Ethernet is just a massive network that’s larger and more robust, able to handle all of the connections required for communication in a large, noisy building or plant. Industrial-scale Ethernets are, in fact, larger and more robust. And they often have heavy-duty connectors and switches that can withstand the extreme vibrations, interference and temperatures often created by the operation of industrial machinery. But more importantly, they require different types of network architecture and protocols for two-way communication between connected devices, to allow the control and reliability essential for real-time operation of complicated, heavy-duty machinery and components. That may sound complicated, but there’s a fairly easy way to understand it. 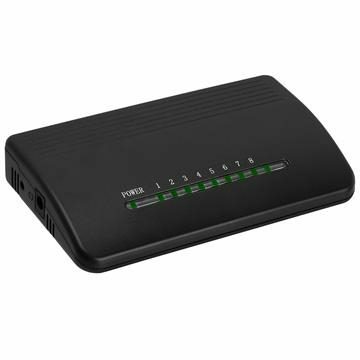 When you’re using your home or business Ethernet to connect to the Internet or to another machine on the network, you don’t need to confirm that your connection has been successful. If you occasionally don’t see the information or website you expect, you simply refresh the connection or page. Industrial facilities which depend on real-time connectivity for their operations, though, can’t afford the luxury of “refreshing” or waiting for a reliable connection to be established. If a message or connection is missed, there can be serious consequences. For example, let’s look at an assembly-line system which uses an Ethernet network to send commands to every machine involved in the operation. That process depends on pinpoint timing. If a packing machine malfunctions, the machine that’s dropping product into the box must immediately know to stop sending more product to be packed. In the best case scenario, a single unreceived message to “stop operation” could result in a huge mess to be cleaned up. Worst-case, there could be serious damage or injuries caused by a runaway assembly line. What’s necessary for those industrial situations is an Ethernet network with built-in two-way communication, so confirmation messages are automatically generated and crucial processes can run smoothly. In industrial-scale Ethernets, the primary method used to ensure that messages are received is known as “handshaking.” This is simply instantaneous communication between the programmable logic controllers (PLCs) that send commands to the machines. In our example, the PLC handling the packing machine would send a message to the PLC controlling the machine that’s dropping product, saying “stop.” If the packing machine PLC doesn’t receive an immediate acknowledgement, it will resend the message again and again until confirmation is received that the second PLC has stopped its machine from dropping product. This process takes only fractions of a second, but ensures that any momentary glitches in the network don’t cause an enormous problem in the entire operation. A second method used to control the process is known as “collision detection.” Busy networks, particularly those with handshaking protocols generating huge numbers of messages, sometimes suffer from messages “colliding” on the network and getting sidetracked. That can prevent crucial messages from being delivered. Collision detection allows the PLCs to know immediately when a collision occurs, prompting them to resend their messages. The lesser volume and importance of traffic on an ordinary home Ethernet doesn’t require implementation of either of these systems. They’re crucial, though, in industrial settings where hundreds of thousands – or millions of dollars – worth of time and material could be lost due to a computer glitch. Taken together, they’re major elements of what’s called a “deterministic” network, meaning that all computers and controllers in the network can communicate dependably with each other over a reliably short period of time. Determinism also calls for the intelligent design of networks with the proper topology (the layout of a network connecting the central server with its workstations and PLCs). It may also require the use of routers and switches specifically to segment traffic, ensuring the free flow of messages without glitches or collisions. Unless you’re a glutton for punishment, the environment in your home or office is always comfortable – meaning it’s also a comfortable environment for your computer equipment. It’s often a very different story on a factory floor where extreme temperatures, vibrations and RFI and electromagnetic interference can wreak havoc with electronic equipment, cables and connectors. 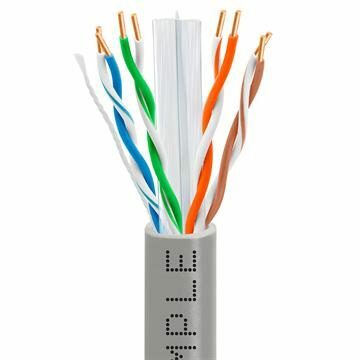 Industrial settings without these concerns can use standard Ethernet connectors and cables, like Cmple’s Cat5 bulk cable and Cat5 patch cables (bulk cable is for long runs, while patch cables are for interconnecting devices or for use in patch panels). 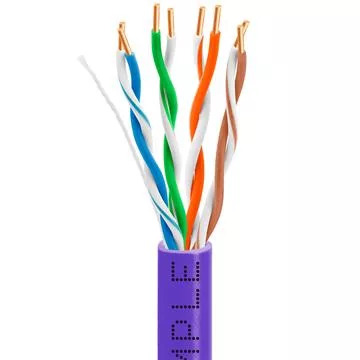 But for those where extreme conditions are common, more expensive, heavy-duty Cat6 Ethernet cable with thicker jackets and tough inner conductors and shielding may be required, along with sealed connectors or those with tight locking mechanisms. Redundancy is a key requirement for industrial-scale Ethernets, because reliability of the connections between machines is essential for continuous operation. Also crucial to many installations is greater security than is normally needed on home or small office Ethernets. That’s not only to protect any data which might be transmitted across the network, but to prevent employees from accidentally (or deliberately) interfering with the communications which, in essence, control industrial operations and keep them running smoothly. 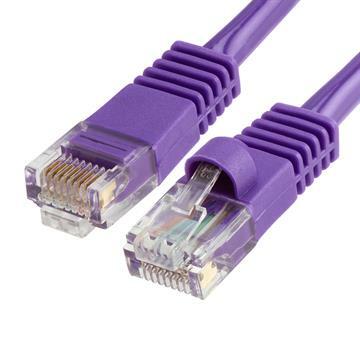 As we’ve mentioned, there are certainly industrial settings in which commonly-used servers, workstations, routers and Cat5e bulk cabling with conventional connectors are perfectly suitable. However, additional steps are needed to construct an industrial Ethernet as the processes being controlled become more complex or time-sensitive, as the automation component (as in our assembly line example) becomes more important, or as temperatures, interference and other environmental issues become more severe. In those cases, data center technicians – and even many experienced network engineers – may need to “call for backup.” The design of an industrial-scale Ethernet calls for an understanding of whether, for example, a star, ring, line, tree, hub-and-spoke or mesh topology is the right choice for the system; that’s a design question best answered by those with a deep understanding of industrial Ethernets. There are turnkey systems available for purchase but the cost-effective approach is to first have the network(s) designed, and then purchase and install the equipment locally. For less-demanding networks, however, Cmple has a full selection of Cat5e and Cat6 cabling, network switches, racks and enclosures available at very attractive prices.